Kangaroo Island artist Cath Cantlon took out the overall themed category prize in the 2016 Easter Art Exhibition at Penneshaw with “Onkos”. 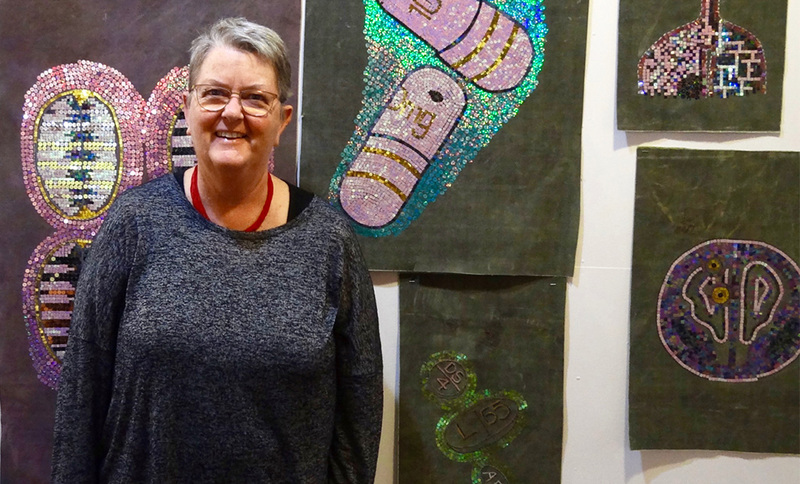 To join Cath on the winners list, download the 2018 exhibition entry form and get started on your artwork. The Penneshaw Easter Art Exhibition returns in 2018, and the official entry form for the exhibition has just been released by the organising committee. After an break of almost two years between exhibitions, the Kangaroo Island arts community is gearing up for a spectacular event in 2018. 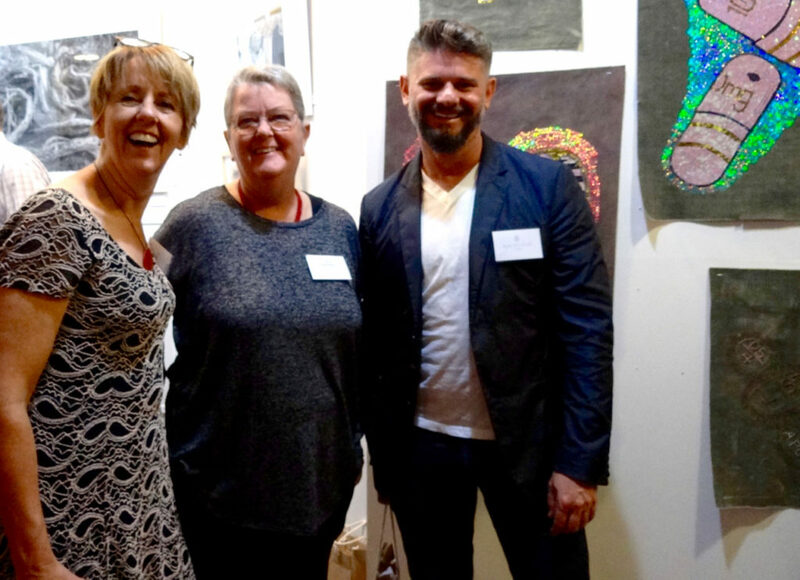 Members of the Kangaroo Island Artists Collective and the official organising committee have been hard at work in the interim, ensuring a bright future for the event. Like to see your name on the winners list in 2018? To nominate your work for inclusion in this much loved and iconic Island event, download the official entry form using the link below and get started on your entries. 2016 Easter Art Exhibition overall ‘themed category’ winner Cath Cantlon is pictured with judges.